Did You Know? At only eight years old at the time of filming, Natalie Wood was convinced that Edmund Gwenn really was Santa Claus, until he showed up at the wrap party without his beard. Quotables: SHELLHAMMER: But… but maybe he’s only a little crazy like painters or composers or… or some of those men in Washington. 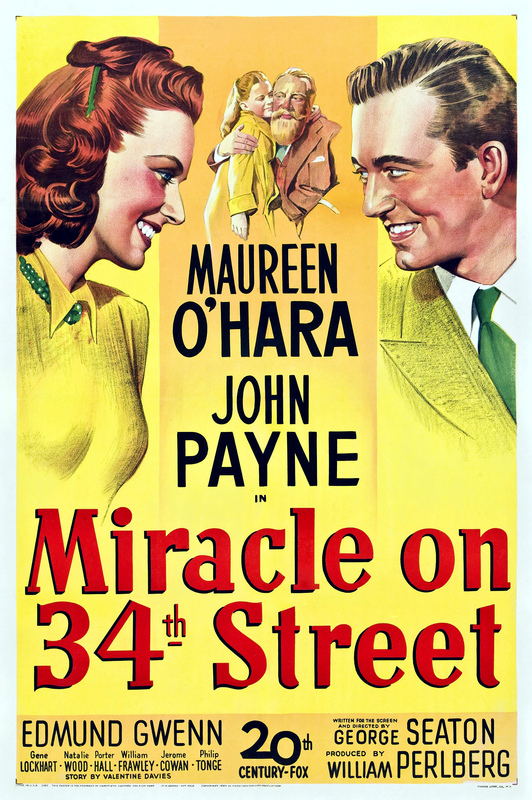 Miracle on 34th Street was one of the very first stage productions that I appeared in. So this story holds a very special place in my heart, though this is the first time I’ve seen the original film. It’s such an endearing story that reminds us all that the magic of Christmas is more than just presents and lights and ornaments and commercialism. It’s about faith, and I don’t simply mean faith in a higher power, but faith in each other.